Boy, it sure would be nice if you could pre-order some book about alien monsters eating people and have it arrive just 16 days late for Christmas. Wait, you mean there IS a way you can make your dreams come true?? 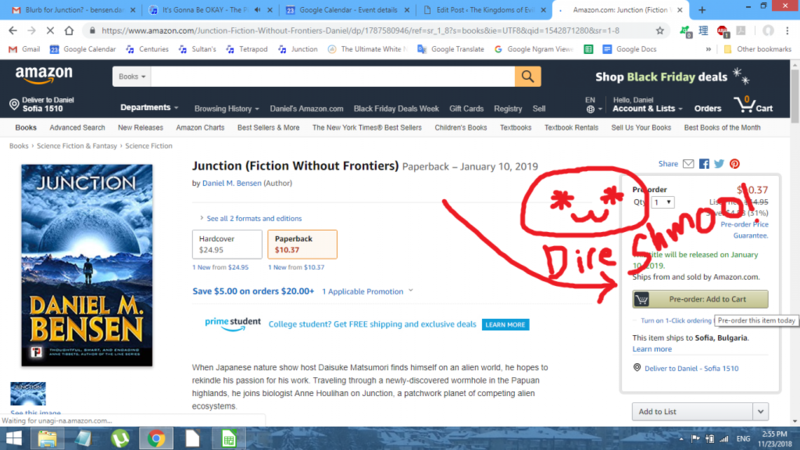 Yes, you can preorder Junction right here and get your gift on the 10th of January. And if you’ve already read Junction, why not leave a review? That would be nice. This entry was posted in Blog and tagged Announcement, Junction. Bookmark the permalink.